I had so much fun last year designing cards, I am back for more fun Valentines day cards. 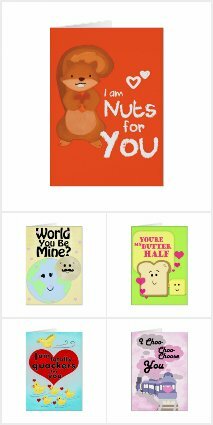 This year you can buy 5x7 cards on Zazzle! I still included some coloring pages for more fun. The theme for the next #pinchpunchpost on February 1st is a squirrel! Any style or medium. Post any time on the day! You can print this cards for your little one to take to school with snack ideas as well as downloadable a coloring page. Visit our InTheLineDesignsProduct Page for more of our illustrations.